She is beautiful, and she is here! 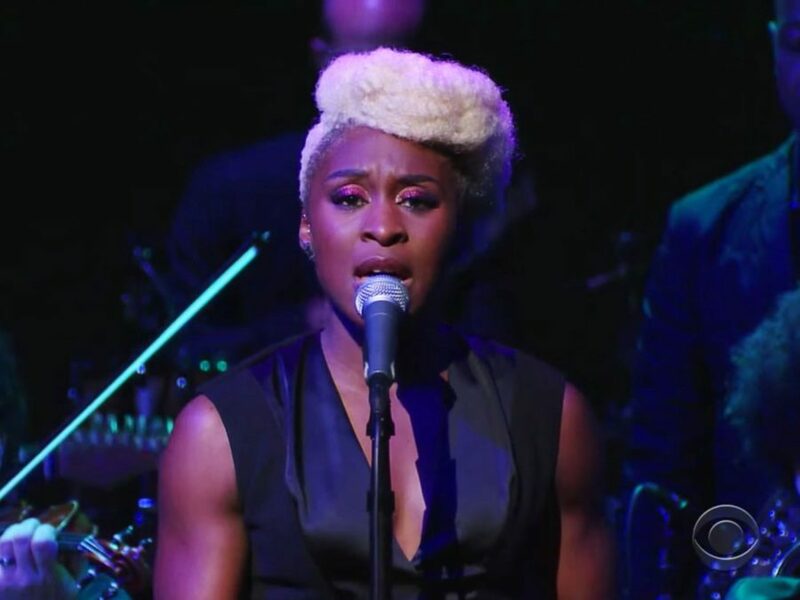 For those who have yet to take in her brilliant Broadway debut in the John Doyle-helmed revival of The Color Purple (all right, and for those who have seen it several times), Tony nominee Cynthia Erivo recently gave a stunning performance of "I'm Here" on The Late Show with Stephen Colbert. (Keep in mind this followed her weekend of completing a half marathon on a two-show day.) Have you caught her episode of Show People yet? Definitely add that to your Broadway.com binge sesh, and watch Erivo's breathtaking performance below! The Color Purple is playing at the Bernard B. Jacobs Theatre.